Lighting Connectors are industrial plugs that are used to connect lighting devices to a power supply. Lighting connectors are primarily used in the events industry for stage illumination. The most common types of plug are 19-Pin Connectors. Lighting connectors come in male and female form like other connectors. 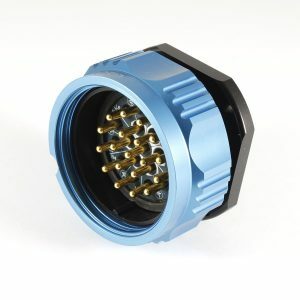 Some fixtures and assemblies containing several lamps, use a panel mounted connector to avoid the need for a separate breakout, and many such fixtures also incorporate a female Showsafe connector to allow further similar fixtures to be chained from the same supply. Stage lighting is the craft of lighting as it applies to the production of theatre, dance, opera and other performance arts. Different types of stage lighting instruments are used in this discipline. In addition to basic lighting, modern stage lighting can also include special effects, such as lasers and fog machines. People who work on stage lighting are commonly referred to as lighting technicians. 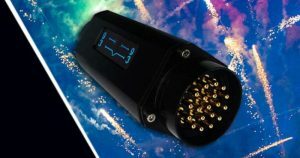 Showsafe are a brand of electrical connectors, known in the entertainment industry primarily for their 19-pin electrical connectors, they are also known as Socapex connectors as a genericized. The lighting connectors are used in film, television, and stage lighting to terminate the ends of a multicable. They are wired with six hot/live pins, six neutral pins, six ground/earth pins, and a final central pin used to aid alignment of the male end of the connector with a female receptacle. “Breakouts” are often used to connect fixtures to the cable. The connectors are configured from a lighting connector wiring diagram. 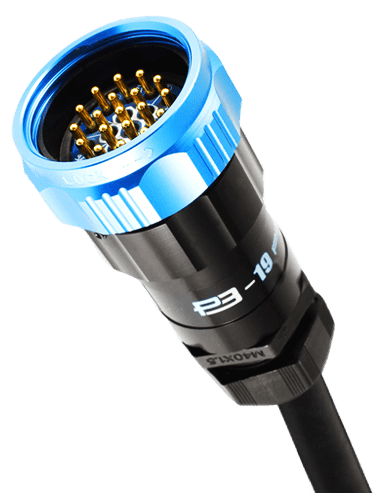 Phase 3’s UL approved multi-pin lighting connectors have been developed to offer the highest levels of reliability and safety. The super robust construction of the circular connectors ensures continual and reliable operation. The rugged design has been tailored specifically for professional touring applications and are fully Socapex compatible. This has ensured that the P3-19 Pin Multi-Pin Connectors are more than up to the challenge of life on the road. Showsafe Connectors are sealed to IP67 when mated, making them water and dust proof for festivals worldwide. The Phase 3 Splitter Unit is an essential piece of power distribution kit for intricate event set-ups. The product is designed with a tough rubber moulding making it perfect for harsh environments. On the device, Phase 3 have fitted it with an incoming male 19-pin plug and two female 19-pin sockets. The Splitter Units can be wired either in series or parallel connection and is fully socapex 419 compatible. The Showsafe Diagnostic Tool is every event day engineer’s best friend. The Tool performs essential tests for continuity by displaying each individual circuit. The connector tool comes in portable or bench mounted form and can last for 48 hours continuous use indoors or outdoors. There are no extra no buttons or user programming required making the testing quick and easy.